The Power of Discovery: STEM2 Initiative is an ambitious, comprehensive project that seeks to transform young people's engagement, interest, and understanding of science, technology, engineering, and mathematics (STEM) subject matter by capitalizing on the opportunities that could be afforded by high-quality experiences during out-of-school time (OST). 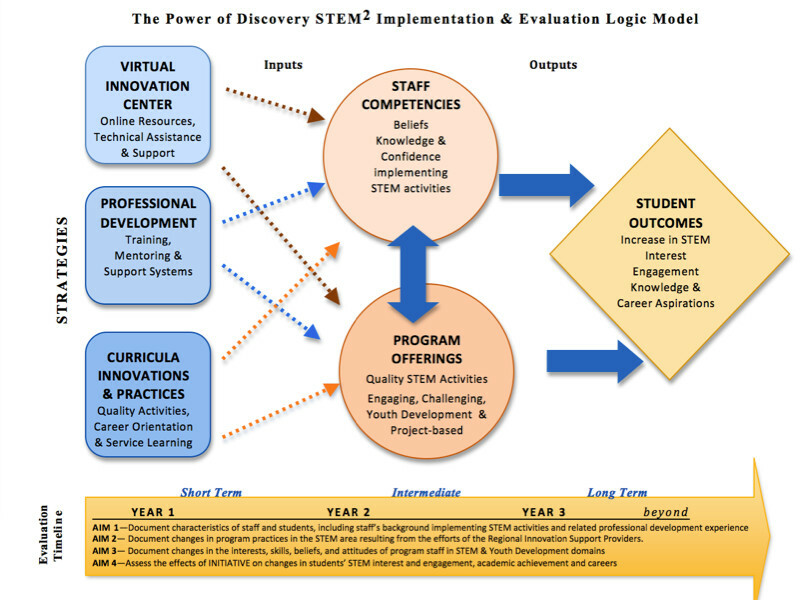 To accomplish this agenda, the Power of Discovery: STEM2 Initiative seeks to increase the capacity of the OST programs in California to offer rich, hands-on learning opportunities in the STEM domain. Multiple strategies, including technical assistance from Regional Innovation Support Providers who serve as mentors and coaches to OST programs, the development of a Virtual Innovation Support Center to provide on-line assistance to programs, and systematic training and professional development for OST staff, are being implemented in after school programs across the State of California. The ultimate goal of the Power of Discovery: STEM2 Initiative is to specifically improve students' STEM engagement, interest, and understanding as well as academic and youth development for generally. The determination of the success of the Power of Discovery: STEM2 Initiative requires a comprehensive evaluation strategy that provides a careful documentation of the implementation of the Power of Discovery: STEM2 Initiative and a determination of the effects of the initiative on the quantity and quality of program activities, program staff, and young people.